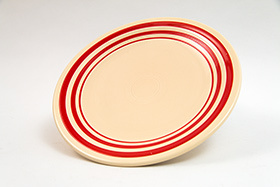 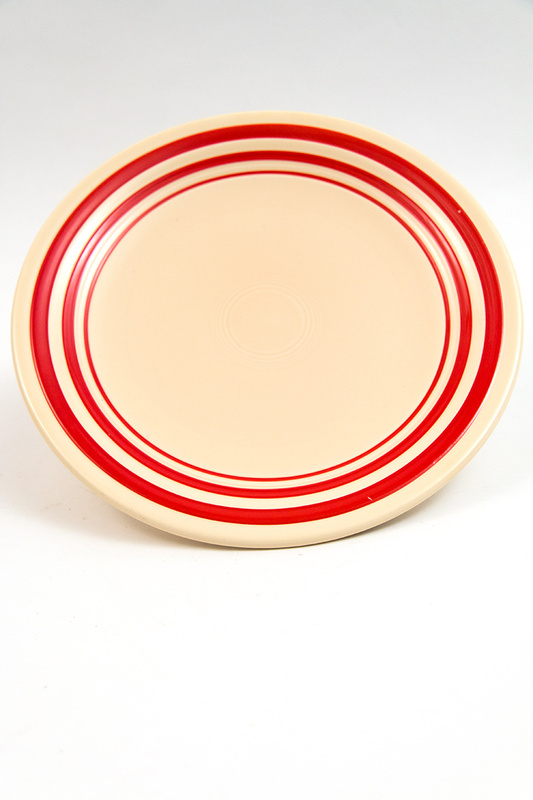 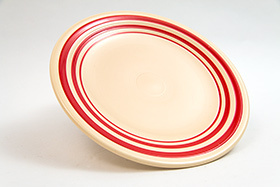 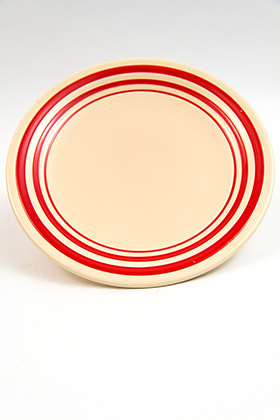 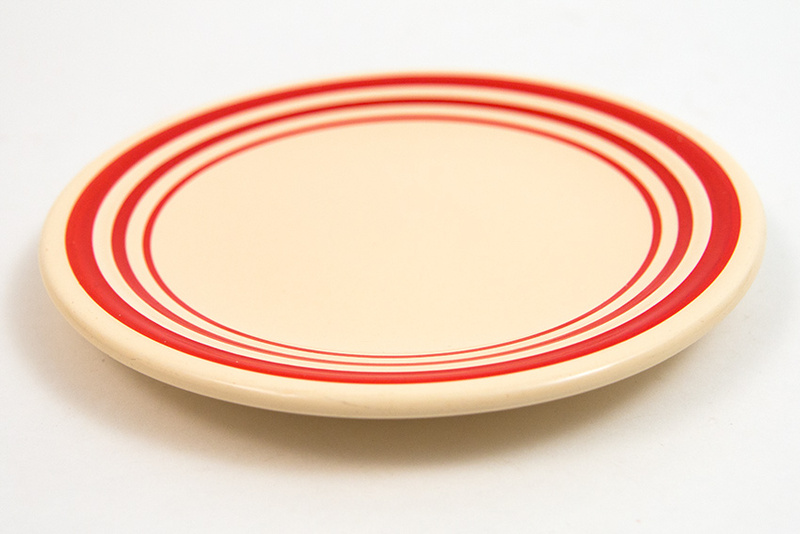 Circa 1936: Take the worlds most collected dinnerware and accentuate the graduated stripes by boldly hand painting brilliant rings of red rings around them and you have the spectacular, and rare, vintage Fiesta red stripe pottery. 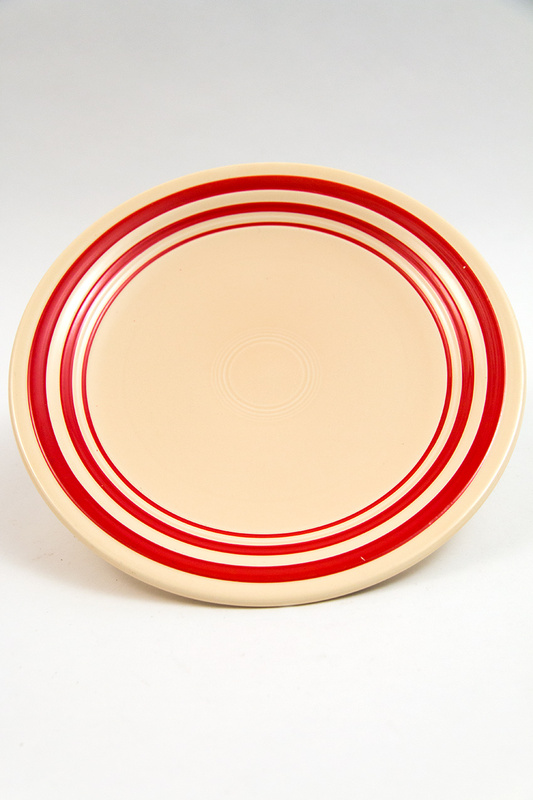 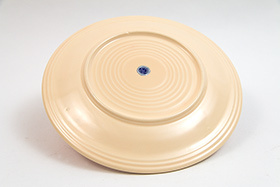 This example of the 9" luncheon plate is in excellent condition and would be a delight to add to advance your collection. 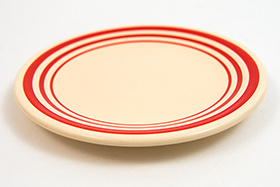 Please note two small pops of loss in the red, no use and no scratches, surface is still perfect.